Phoebe Louise Randall is interested in painting and its tropes, such as the gesture as primal expression and the stain as permeation. She approaches, embodies, rejects and embodies again the character of the painter. Randall questions the spectrum of sincerity in regards to mark-making. She believes in painting’s potential as a mode of nonverbal learning, as well as a tool for mythology. Randall’s current artistic interests include color theories, dream symbology and internal vernaculars, zodiacal interpretations, sine waves and geometry. Phoebe Louise Randall was born and raised in Chicago, Illinois. She is a 2017 graduate of the NYU Studio Art program with a concentration in painting. Randall has exhibited her work in galleries in Chicago, New York, and Canada, as well as the St. Agnes church in Berlin. In 2015, she worked alongside the Berlin-based CHEAP Kollectiv to stage a radical reinterpretation of Mozart’s The Magic Flute at NYU’s 80WSE Gallery. While at NYU, Randall has worked with Matte Black Studios, Studio Scrivo and The Watermill Center. 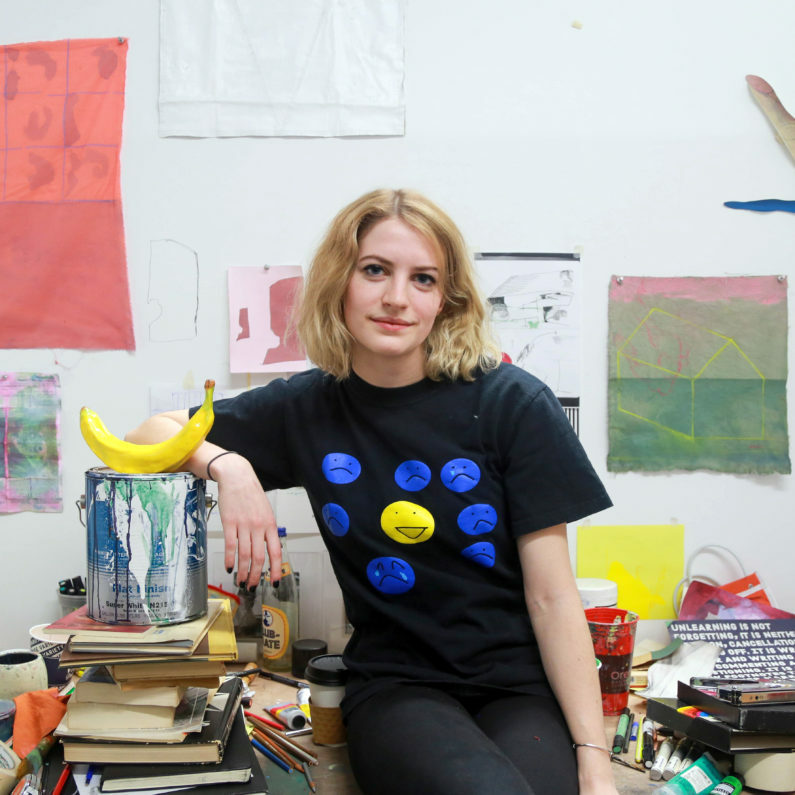 Phoebe Louise Randall’s work was featured in “Way Out / Away Out,” curated by Haley S. Pierce.